How to apply for a business visa Australia? What the Australian business visa allows you to do? 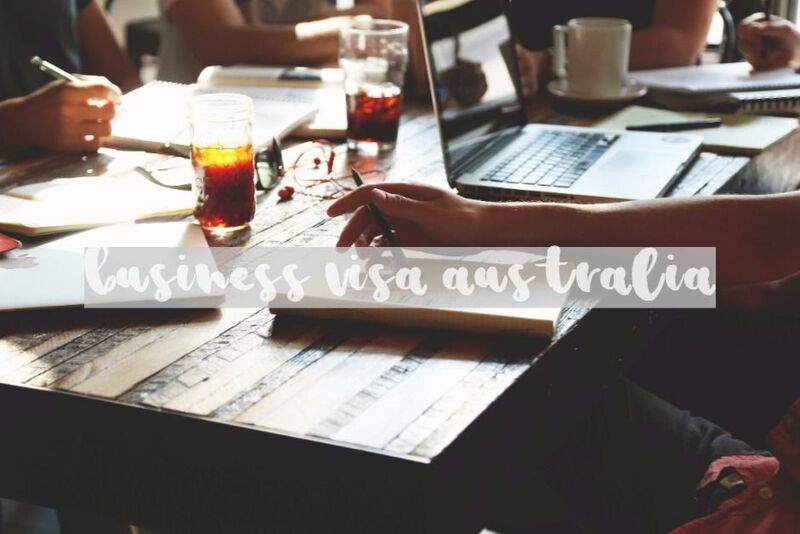 Looking for business visa Australia savvy businessman that you are, you know that location plays a vital role in the success of your endeavor, and the land Down Under is just the right spot on earth for you. Being an island-continent, it offers countless advantages to advance your business interests that other places can’t match. Not only that – Australia maintains strong and healthy ties with the fast-growing economies of the Asia-Pacific region. Hence, setting up a shop here offers an opportunity for your company to leverage on the strength of the country as a trusted partner of these economies. We don’t even mention the prospects for growth, availability of qualified and highly skilled human resource, the presence of various industries, and most importantly safety and security. But first things first: What does it take for you to become a participant in the booming business environment in the vast country that’s Australia? Australian government requires you to obtain a business visa before you could engage in commerce and trade here. But Australia does not just offer one type of business or investment visa: there are several types of it for you to choose from. The question is: Which type of business visa are you going to apply for? Like we said earlier, there are a number of business and investment visas up for grabs if you intend to do business or invest in the country. Let’s talk about three of the most common types that you can always encounter while in the process of choosing which one fits your requirements the most. Entrepreneur Stream– if you have a funding agreement with a third party for at least AUD200 000 to undertake a complying entrepreneur activity, this stream is fit for you. For purposes of this article, let’s tackle a great deal on the business innovation stream, which is also known as subclass 188A. But before that, allow us to mention two more visa types which may interest you and which relate to the business innovation stream. Subclass 188 Australian business visa is points based. You can get points for your age, education, level of English and factors related to your business or investor career. To be eligible for a Subclass 188 Business visa 65 points is an absolute minimum. If you have reached the threshold, you might be eligible for a visa. Have a look below if you can reach the threshold. This calculator is for a Business Innovation 188A visa. If you are interested in Investor 188B visa calculator could be found here. Because of your age, you do not qualify for Business Innovation 188A visa. Give us a call to discuss your options. Assets of 800 000 AUD are required to be considered for a Business Innovation 188A visa. There are limited circumstances where an Australian state or teritory could consider less than that for nomination. Give us a call to discuss your options. For business innovation stream your business turnover must be at least 500 000 AUD (2 years in preceding 4 years). For Investor stream it does not really matter. If in doubt - give us a call to discuss your options. Below is estimated amount of points you may get based on your answers. Please note that this assessment is indicative only and does not constitute immigration advice. To be eligible for a Subclass 188 Business visa 65 points is an absolute minimum. If you have reached the threshold, you might be eligible for a visa. Should you wish to discuss your options further, please give us a call or fill your contact details below and we'll get back to you. Subclass 888, also known as Business Innovation and Investment (Permanent) Visa, serves as the next step to subclass 188. You can apply for this subclass after you have complied with the requirements of the provisional visa. The Expression of Interest (EOI) that you submitted when you apply for subclass 188 is already enough — you need not submit a new one. You just have to be invited by a state or territory government before you can lodge your application for this visa. If you are a holder of a provisional Business Innovation and Investment visa (subclass 188) you should provide evidence that the government entity which nominated you for that visa has not withdrawn the nomination. On the other hand, subclass 132, otherwise known as Business Talent visa, is a permanent residence visa for business people like you who are sponsored by an Australian state or territory government. Just like the previous two visas, subclass 132 calls for you to submit an Expression of Interest (EOI) through SkillSelect before you are sponsored by a state or territory and invited to apply for the visa. It doesn’t matter where you are at the time of the application – you can either be in or outside Australia. Follow us on facebook if you like it here. This type of visa is intended for you who have already owned a viable business and planned to establish your presence in the country either by expanding your existing business or acquiring a new enterprise here. It will also prove useful to you if you have the intention of obtaining permanent residency in Australia: It can serve as a stepping stone towards that goal. It has an initial validity of four years, but after serving three years of it, you can already apply for an extension of another two years, effectively giving you six years of provisional stay in the country. You own a business with a revenue of at least AUD500,000 for at least two of the last four fiscal years. You maintain net personal and business assets of not less than AUD800,000. You got an invitation from a government entity through SkillSelect. You must be under 55 years of age. You are able to show proof of a successful career in business. Give us a call so we’ll check if you’ll get enough points to qualify for the visa. Like all applicants of other types of visas, you need to comply with certain health requirements before a business visa is issued to you. The same requirement also covers all members of your family unit who are included in your application — whether or not they are traveling with you to Australia. Results of health screening are normally valid for 12 months. You are also screened against certain character requirements. For this purpose, you must be ready to provide documents showing you have a clean record from the authorities. In this case, the department demands a police clearance from every country you have resided for at least 12 months during the past 10 years after you turned 16 years of age. You can only arrange for the issuance of police certificates on the instruction of the immigration department. As in the health requirement, character test also applies to all members of your family unit included in the application, whether or not they are coming to the country. As a potential permanent resident of the country, you are asked to sign an Australian values statement where you pledge to respect the Australian way of life and obey Australian laws. The statement is included in the visa application form. This is required of you if you are at least18 years of age. If you happen to have outstanding debts to the Australian government, you must repay them. Well – do yourself a favor and call us so we’ll do all the hard job for you, but if you are interested how the process works please read further. The application process starts with an Expression of Interest (EOI). An EOI serves as a suggestion from your part that you are interested to obtain a business visa. Please note that it’s not yet the visa application itself. Your EOI must mention your preferred state or territory to nominate you and it should also include a business proposition for your desired sponsor state or territory. The EOI will be coursed through what we call SkillSelect, an online facility of the Australian government intended to hasten visa applications. Again, your location at the time of your submission of the EOI doesn’t matter. Whether you are in the country or outside of it, you can always lodge your EOI. Through SkillSelect, both Australian employers and state/territory governments can see your qualifications, who then nominate you for a visa that you applied for. If you are selected, the immigration department will send you an invitation wherein you will be instructed to apply for such visa within 60 days. Allow us to emphasize here that the nomination from an Australian state or territory constitutes one of the most important requirements of obtaining subclass 188A. In the absence of it, you cannot hope to secure this type of visa. You may ask how much it costs to obtain this type of business visa. The figure starts from AUD 585 and may increase depending on the additional applicants – there’s a rate for applicants 18 years of age and over and another rate for applicants below 18 years of age. Be prepared also for other expenses like the cost of health assessments, police certificates, and other tests or certificates. The Australian government gives you the opportunity to include the following people in your application: your partner (not necessarily a spouse) and your child or stepchild or your partner’s child or stepchild. Crucial in the application are the documentary proofs of their relationships to you, so be prepared to provide the pertinent documents. If you are married to your spouse, a marriage certificate is usually satisfactory, but if your de-facto relationship is fresh and not yet formally recognized, proving your relationship is genuine might be more difficult than getting an Australian business visa itself and we’d have to go through a lot of obstacles similar to the partner visa process. Apply for permanent residency through Business Innovation and Investment (Permanent) visa (subclass 888). You must be in Australia on your subclass 188A visa for not less than 12 months within the span of two years before submission of application. You must have owned and managed a business in Australia for not less than two years prior to the application and your business must have an annual revenue of at least $300,000 for two of the last four fiscal years. You maintain business assets of at least $200,000. Your business here must have employed at least two full-time Australian employees. Applying for business visa Australia can be a complex undertaking, more so if you are aiming for Australian business visa. At first glance, we cannot tell for sure if you qualify for it or not. There are simply so many requirements to comply with. Looking at the list can prove daunting. Getting into the application process itself proves even more daunting. This is especially so if you are currently managing a business and applying for the visa at the same time. Time-wise, it may prove impossible to do. Here’s where the services of Nowak Migration come in. We will do all the dirty work for you. Name it and we will do the job for you: from the first step of the process up until lodgement, we will be with you all the way. We will even undertake follow-ups with the concerned offices and officers at the department just to get the job done. We will deal with state and territory authorities so you will get a nomination for an Australian business visa from them. A nomination is necessary for a visa grant to be considered by a department of Immigration. We will make the necessary follow-ups with the department until you are given the invitation for a visa application. We know, permanent residency is just a beginning of jour journey – we’ll guide you all the way until you’ll get an Australian Citizenship if that’s your goal. Along the way, we will coordinate with accountants, business brokers, lawyers specializing in business law and other professionals and experts involved in the process just so every aspect of your move to Australia will be amply covered. We have the whole team dedicated to business visas. Give us a call for a discussion or book an appointment. Tell us: Do you still have anything more to ask for? You are right: Nowak Migration goes to great lengths to do everything for you. You are right too: Our company serves as a veritable one-stop shop when it comes to your visa and migration concerns. So what are you waiting for? Give us a call and hire us now. Alternatively – book us for consultation if you need more information as regards your case. You can find our contact number at the top of the page. You can also click the Contact Us tab of our website and choose the channel of information that suits you the most. In the meantime, please like or follow Nowak Migration on a Facebook page, subscribe us on YouTube and subscribe to our newsletter for the latest updates on Australian migration. Business visa Australia is intended for those who have already owned a viable business and planned to establish their presence in Australia either by expanding existing overseas business or acquiring a new enterprise in Australia. It will also prove useful to you if you have the intention of obtaining permanent residency in Australia: It can serve as a stepping stone towards that goal. Just a question, after reading this thoroughly, my position now is a 457 visa holder, from France, working as a head Chef in a small cafe in Victoria. It happens that my Australian boss will sell the cafe and the plan is I will buy it. But the cafe is below AUD$ 200.000. I mean is it safe for me to go through consider my aim is to get a permanent residency then a citizen in the future? What would happen to my visa if I go with the plan? And also, can I put my de facto partner in this application? Please enlighten me, thank you in advance. 1. If you will become a sole owner and your responsibilities will change from cooking to managing restaurant your 457 might be canceled. We’ll have to discuss.